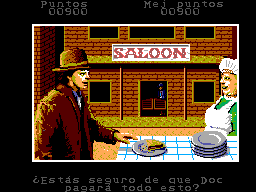 Back to the Future Part III is an action platformer game for the Sega Master System. 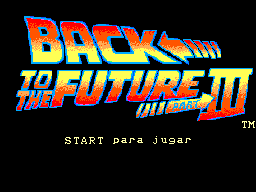 Based on a movie with similar title. 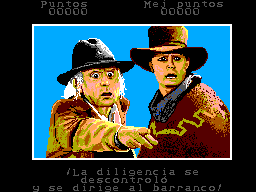 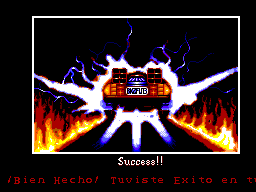 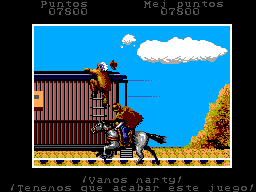 Translation to Spanish for “Back to the Future Part III” for the Sega Master System.